The Hawkins Law Firm is a full-service law firm with offices in Arab, Guntersville and Scottsboro, Alabama. We service all of our clients needs in the areas of divorce and family law, estate planning and probate, business and corporate law, litigation and appeals. The firm provides provides advice and counsel, handles transactions and resolves disputes through litigation when necessary. Contested divorces and probate proceedings can be contentious matters, as can high-level business dealings and transactions where significant investments are at stake. In this atmosphere, parties may make decisions based on emotions that do not turn out in their best interests. High-conflict disputes can benefit from the formal structure that litigation provides, keeping emotions in check and leading to sound and rational decision-making. Other times, there is an imbalance of power in the parties’ negotiating positions, and the courtroom can provide a level playing field and lessen the ability of one party to take advantage of another. As litigators who also regularly engage in Appellate Advocacy, we are mindful throughout trial and the entire litigation process of the possibility of an appeal. We take care to properly preserve objections and to make the appropriate post-trial motions, such as motions to reconsider or vacate, in order to properly preserve appeal rights. Our firm has a litigation support team of attorneys and paralegals who are experienced in the essentials for successful litigation, such as researching and drafting concise motions and preparing comprehensive trial outlines. This team works with the lead attorney on every case. We believe our team approach is cost-effective for the client, while providing a more thorough approach to the case. 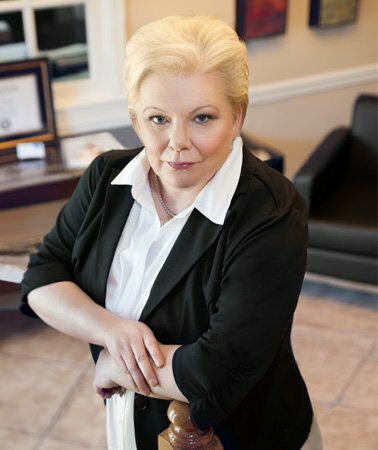 An experienced litigator can be key to resolving a dispute. Being prepared for trial is often key to resolving a dispute through mediation or a negotiated settlement on favorable terms. If negotiations fail to bring about a desired result, resort to courts is an acceptable and effective means of dispute resolution. For strong and effective advocacy in General Civil Litigation, Family Law Litigation, Estate Litigation, or Business Law Litigation in Albertville, Huntsville, Guntersville, Boaz and beyond, contact The Hawkins Law Firm.